Two McQuillan players have received All Star Awards, Dessie Donnelly (1989) and Paul McKillen (1993). 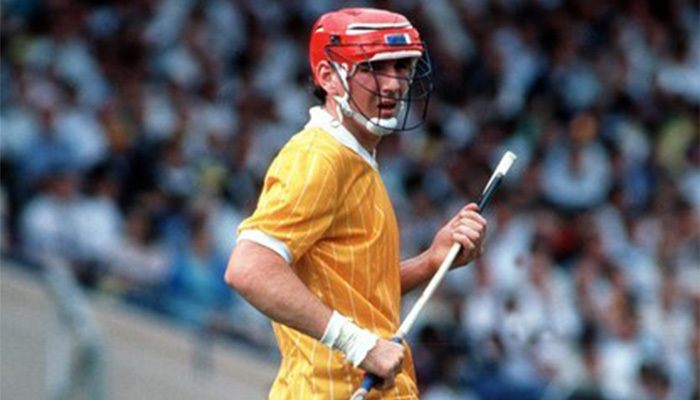 Dessie also captained the team in their exhibition game against Tipperary in the SkyDome, Toronto. Video highlights of that game can be watched here. Eddie Donnelly (1975, 1977), Brian Donnelly (1985), Dessie Donnelly (1987) and Paul McKillen (1988) were selected to tour North America with the All Stars. In September 2013 the GAA announced “Hurling Stars of the 80’s” team which was deemed to be “the best 15 hurlers from the 1980s who did not win All-Ireland senior medals“. Dessie Donnelly was included on the team at left corner back and was presented to the Croke Park crowd before the All-Ireland SHC Final that year between Cork and Clare. Stephen McAfee and Ciaran Clarke have been honoured at national level for their exploits in the historic achievement of Antrim’s first ever appearance in an All-Ireland U21 Hurling final in 2013. In 2016 Ciaran Clarke was selected on the Christy Ring Cup Champion 15 for his excellent performances throughout the season which saw him finish as the competition’s top scorer. The Champion 15 is the equivalent of the All Stars in the second tier of All-Ireland championship hurling. McQuillan GAC has a long tradition of securing Hurling All Stars at Ulster Colleges level. The latest being Conor Boyd who received the honour for his performances during Cross & Passion College’s 2016 Mageean Cup campaign. Read the full list of All Star awards and replacements from McQuillan GAC Ballycastle. Eddie Donnelly (1976, 1977), Ronan Donnelly (1994), Ciaran Kelly (2002), Cormac Donnelly (2012) and Neal McAuley (2014, 2015) represented Ireland in Senior Hurling /Shinty Internationals. Neal McAuley (2006), Stephen McAfee (2013), Ciaran Clarke (2013) and Matthew Donnelly (2013) have represented Ireland in the U-21 Hurling/Shinty International. Video highlights of the 2013 U21 International are here. 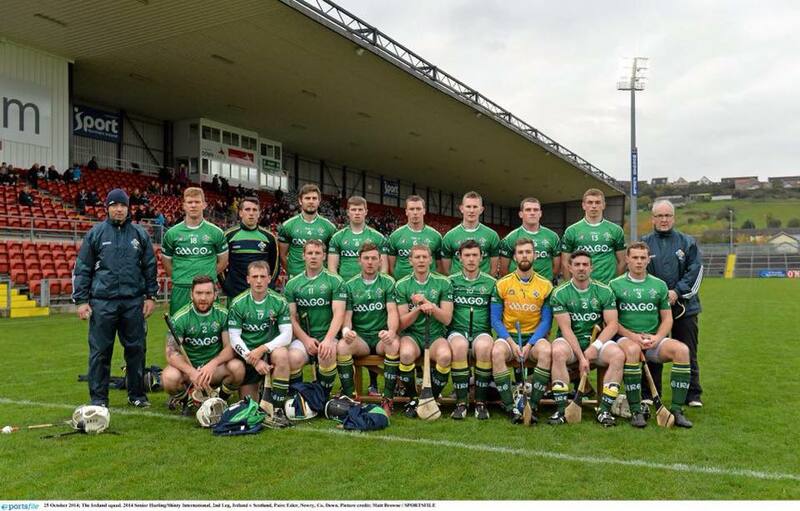 Read the full list of Ireland Representatives from McQuillan GAC Ballycastle. 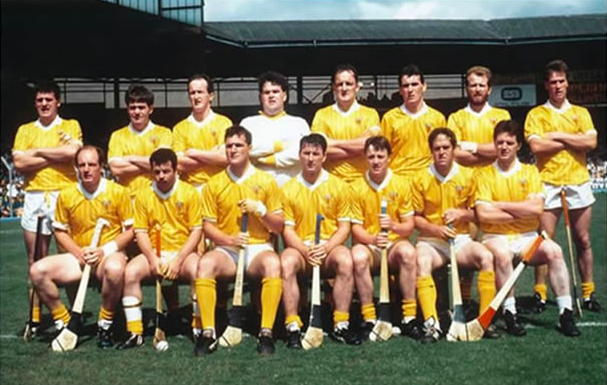 McQuillan GAC had four representatives on the Antrim team which contested the 1989 All Ireland Final with Tipperary, Paul McKillen, Brian, Dessie and Terence Donnelly. The Saffrons were defeated 4-24 to 3-9 at Croke Park. Full video of the match is available here. John Butler played on the Antrim team which lost the 1943 All Ireland Senior Hurling Championship Final to Cork, John McNeill and Donal Boylan were in the reserves. McQuillan GAC had three representatives on the Antrim team which won the 1970 All Ireland Intermediate Title, Paddy McShane, Eddie and Kevin Donnelly. Eight club players won All Ireland “B” Championship medals in 1978, 1981 and 1982. Peter and Stephen Boyle and Brian, Dessie, Eddie, Kevin, Seamus and Terence Donnelly. Malachy Dallas, Kieran Kelly and Ryan McGarry won a Christy Ring Cup medal in 2006 in a comfortable win over Carlow at Croke Park. James Butler and Frank Fleming played on the Antrim team which lost the 1940 All Ireland Minor Hurling Championship Final to Limerick. 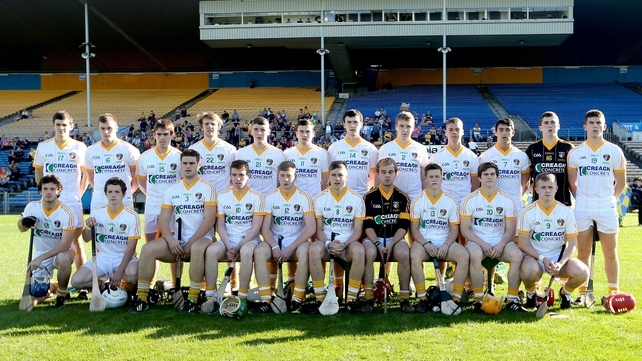 Stephen McAfee, Matthew Donnelly and Ciaran Clarke were all members of the Antrim U21 Hurling squad that defeated Wexford in the 2013 All-Ireland Semi Final. This side were the first Ulster representatives to reach the final at this level. All three then took part in Antrim’s first All-Ireland final appearance since 1989 in the defeat to Clare at Semple Stadium. Stephen McAfee also won the UGAAWA Merit Award trophy for his display as well as man of the match in the semi final. In the same year Ciaran Clarke and Stephen McAfee were named on the Bord Gáis Energy Team of the Year of the year, the equivalent of All Stars at U21 level. Ciaran Clarke also finished as the third highest scorer in the Championship with a total of 3-29 in four matches. Dessie Donnelly twice won the All Ireland Poc Fada Pairs competition partnering Christy Ryan of Clare in 1987 and Tommy Quaid of Limerick in 1990. Three McQuillan players have scored four goals in county finals; Moore Dunlop (1933), Seamus Connolly (1944) and Eddie Gallagher (1948). 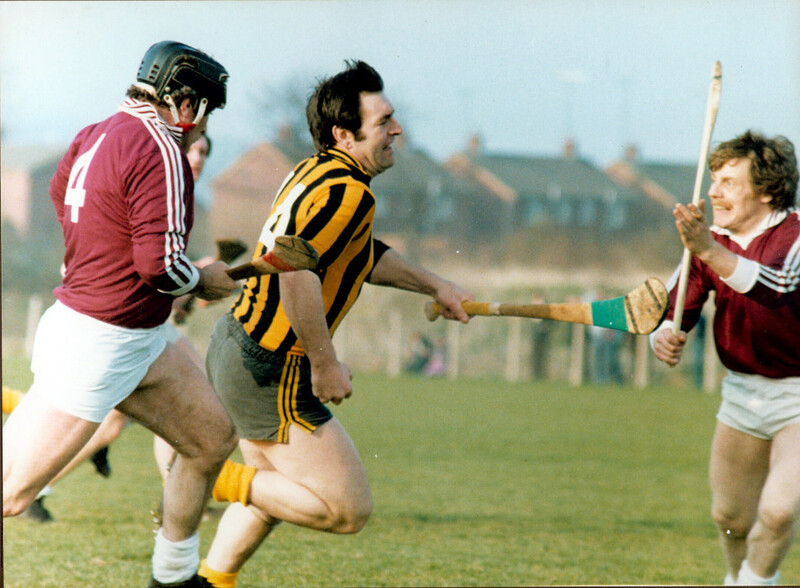 In 1980, McQuillan GAC won a clean sweep of senior trophies including the Antrim Senior Hurling Championship, Ulster Club Senior Hurling Championship, Antrim Senior Hurling League Division 1 and the Senior Feis Cup. That same year McQuillan GAC were the first Antrim team to contest an All Ireland Club Final, losing narrowly to Castlegar of Galway. 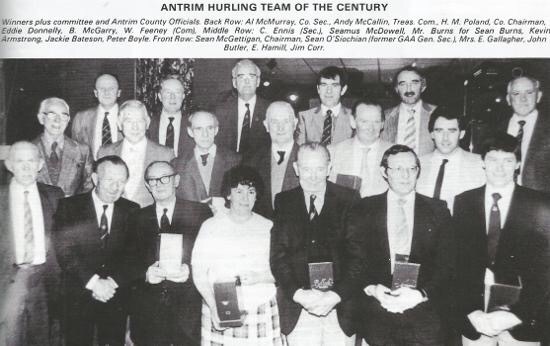 In 1952-1954 and 1978-1980 the club were the first Antrim team to win two “hat tricks” of Senior Championships wins. McQuillan GAC appeared in all eight championship finals between 1977 and 1984 winning five titles. Dermie Donnelly was team manager for 9 years from 1977-1985 inclusive. Dessie Donnelly played in 15 championship finals from 1975 to 2001 playing in goals, backs and forwards and winning 7 medals. McQuillan GAC hold 10 league titles seven of which were won undefeated. In 1986 McQuillan GAC won the County Senior Championship and League, County Senior Reserve Championship and League and the Ulster Club Championship. The 1987 League win marked 5 league titles in a row, unbeaten in league 4 years in a row and unbeaten at home for 10 years in all official competitions within Ulster from 1978 to 1987 seasons inclusive. Eddie Donnelly’s eight Senior Championship medals is a club record and ranks highly in the county, he also won eight league medals. 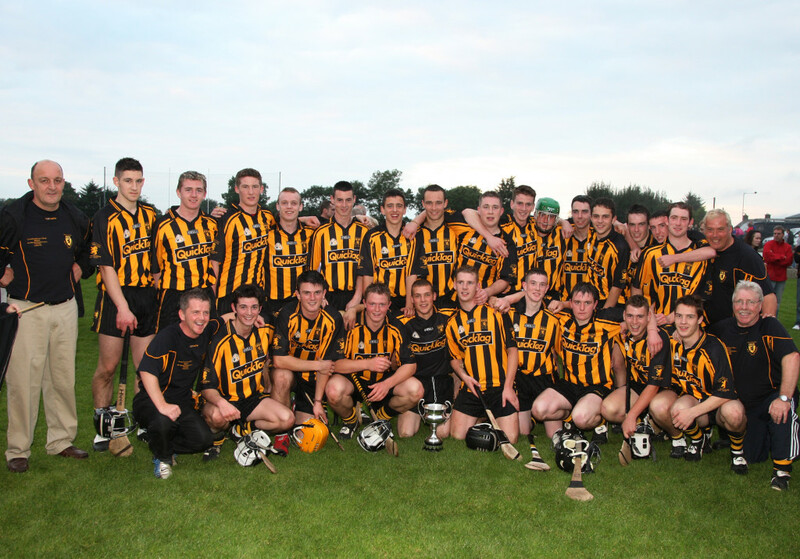 In recent years the club has been successful in the U21 Hurling Championship winning three titles in 2007, 2010 and 2012. This was followed up by a Senior Reserve Hurling Championship title in 2012. McQuillan GAC also hold a county football title, the 1934 Antrim Junior Football Championship. The club is the most successful side in the North Antrim Junior Football Feis Shield, winning five titles in 2006, 2008, 2009, 2010 and 2011. McQuillan Footballers have won the North Antrim Junior Football Championship on six occasions in 1932, 1933, 1934, 1974, 1977 and 1979. If you notice an error on this page, please get in touch either via email pro@mcquillangac.com or private message the club Facebook page.